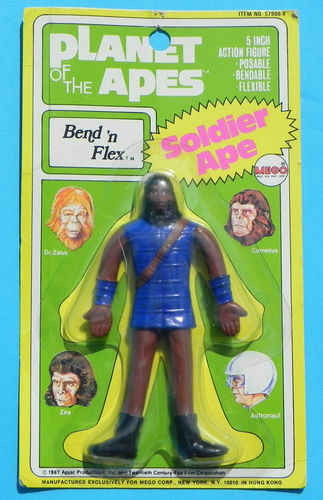 This is one of a range of flexible 5 inch figures that was produced by Mego during the hey day of the original Planet of the Apes films. The figure is in mint condition and has never been removed from its packaging. The card itself is in very good shape with no tears or graffitti. There is a little minor creasing and a couple of corner dents. The plastic bubble is in very good shape with no cracks. Just a slight scratch which is visible around the right arm of the figure. Overall this has survived the years very well. The colours are still as bright as the day they were printed. The card depicts other figures from the series on both front and back. 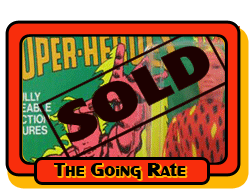 All in all a great opportunity to pick up an original, mint mego figure from the early 1970s. This is a very, very RARE find! Please read this description carefully as it it very detailed! The set looks virtually unplayed with, no playwear to speak of. Have a look at the pics and see if you agree! This is the Original 1967 JC Penny Catalog issue, Original price $13.84, the unit is labeled 1967 Apjac Productions along with the Mego makers mark. The Original Plain J.C. Penny Catalog Dept Box is included with the spacer insert. The M-16 Rifle bag is sealed and filled with the 3 Rifles and straps in Mint condition. The Crossbow table and all the pieces are sealed in the original bag. Mint and complete. The 3 Control Sticks are in original bag too, this bag is open. They are Mint also. 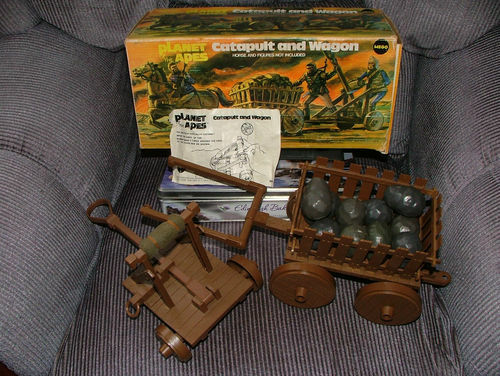 The Original Instructions are included and in great shape. No stains or rips. The Cage and backdrop are included and in great shape. The brown large table has never been folded for assembly, still flat and uncreased. The Capture Net and Wood Pole are in great shape, looks unused also. The Original World's Greatest Super Heroes mini brochure promotional pamphlet is included and in Great Shape too! 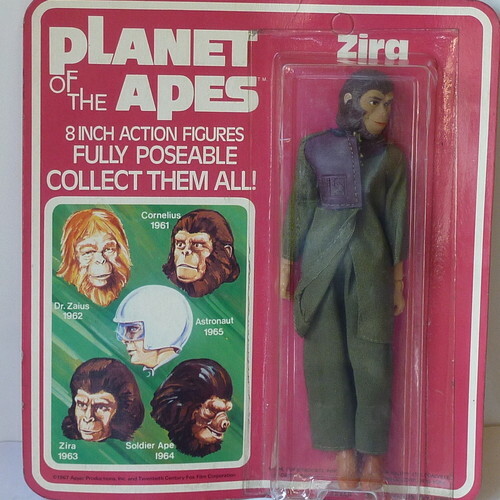 1975 Mego Bradgate Planet of the Apes ZIRA 8 inch figure released in the UK.Before the Mego Apes were released in the UK on the colourful Palitoy cards, the were released on these impossible to find Bradgate cards. The card is a different shade of pink than the US release.The graphics on the back are completely different.The card and bubble are in great condition with some wear as seen in the pictures. The bubble is factory sealed to the card and has never been opened. Figure is mint later edition of Zira without the inner sleeves. This is one of a range of flexible 5 inch figures that was produced by Mego during the hey day of the original Planet of the Apes films. 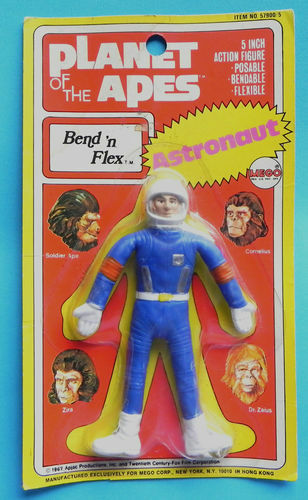 Apparently it was going to cost too much for the rights to use the Charlton Heston character Taylor, so Mego just produced this generic "astronaut" instead. It is quite poetic that this figure has been entombed under plastic for many years, not unlike his movie counterpart en route to the Planet of the Apes! The figure is in absolutely mint condition and has never been removed from its packaging. The card is in very good shape with no tears or graffitti. There is a small price sticker mark on the card, a little minor warping and a couple of corner dents. The plastic bubble is in very good shape, is fully attached to the card backing and just has a little crushing around the left foot and a couple of very slight marks. The card depicts other figures from the series on both front and back. 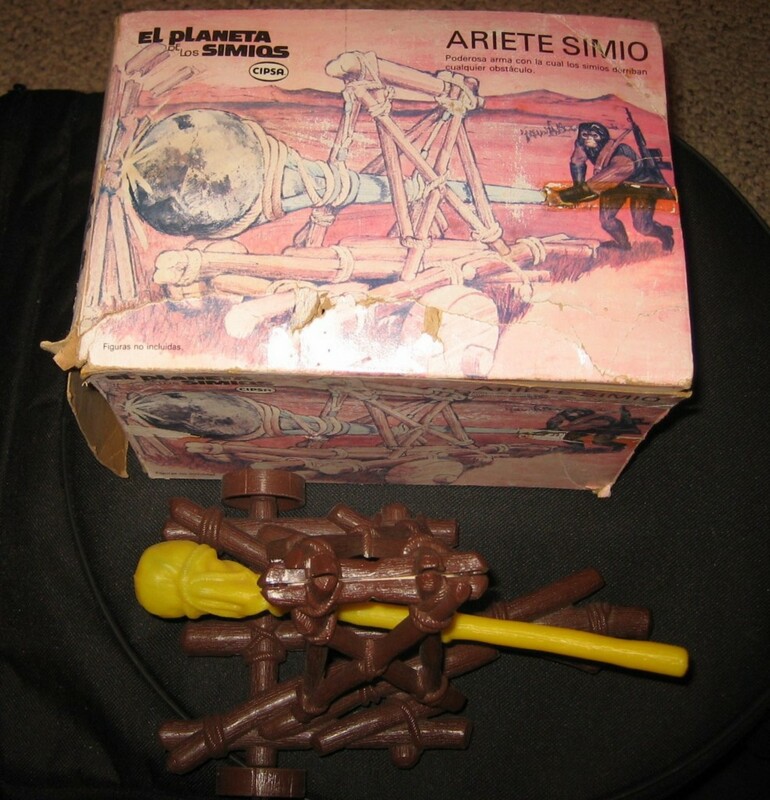 Up for your consideration is a 100% original MEGO PARTS - Vintage Mego CIPSA ARIETE SIMIO Battering Ram 1970's with original box. Box is missing one of the side flaps. Couple of side flap pieces inside box. Box has some overall wear/tear. Very difficulut to find these Mexican CIPSA pieces in any condition. Displays nicely! Add it to your APE collection. .SOLD AS IS. GO APE and HAPPY BIDDING! CONDITION NOTES: This figure comes in mint condition still sealed and mounted on its original header card. The card itself has tape residue and edge wear as well as light creases and some bubble dings. 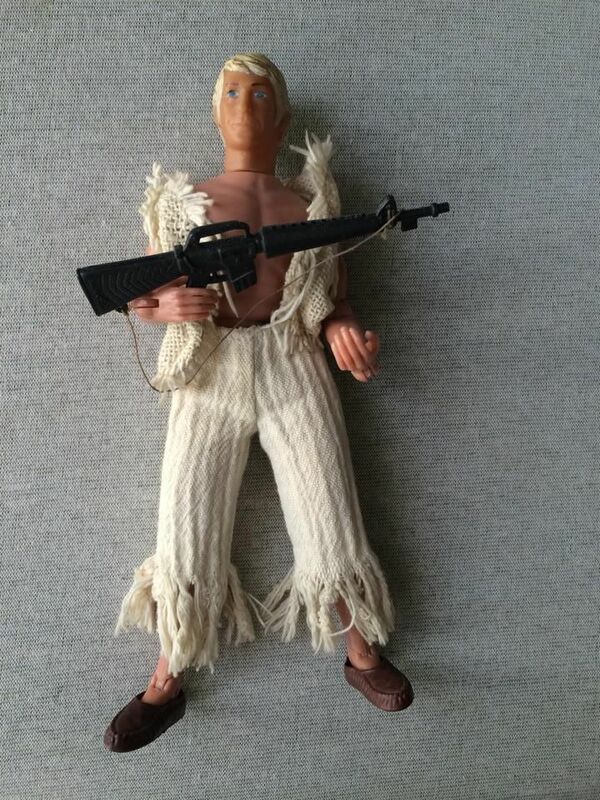 You are bidding on a vintage MEGO Planet of the Apes Astronaut. This MEGO Astronaut is still mint in sealed packaging. Bubble is clear and card is still bright with no fading. Some light edge/corner wear. Shipping: Will ship to Canada. Read item description or contact seller for shipping options. Excellent joints and very good shape ,complete , all accesories and clother are 100% Cipsa made in Mexico, super rare and hard to find figure!! !